Trade week actually happened a number of weeks ago, but I've had a bunch of things happening irl that have made me pretty bad at updating this blog of late, so my analysis of the MBA trade week is coming out very very late (better late than never though, right?). Here I'll analyse how trades have affected each team's lineup, whether I think it was a good trade and how I think the team might perform for the rest of the season as a result. Traded a third bulky water type for the offenses of Terrakion. Should add another dimension to the team's capabilities, combining with Gardevoir for nice Fairy/Fighting coverage. Quite a good trade, as arguably Slowbro was the least useful of Miami's large supply of bulky waters given the makeup of the rest of the squad, and injects some much needed speed in to the lineup. This doesn't drastically change how Miami functions, but it should be helpful overall. 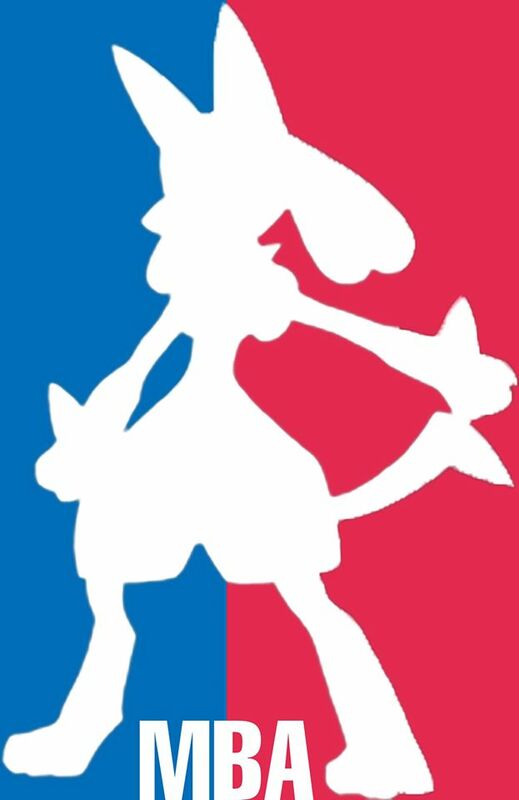 The Eevee centric team lost two of its eeveelutions, but Dragalge does give it some great offensive power, as the team looks to now have a multitude of feasible modes in Trick Room, as well as Rain and Sun. Rain mode, and hazard clearing, got a bit better with the addition of Kabutops. These modes are quite crowded, so Epping may still be a jack of all trades, and master of none, but the Kabutops trade at least really does make teambuilding against Epping a bit more of a headache, given how you could be punished for building too hard against the wrong mode. Pretty good changes I'd say, and they improve the offensive threat and utility posed by Epping in my opinion. Granbul gives Tottenham an intimidate option, but they lose the cleric ability of Miltank. A minor change at best, in my opinion. However, Tottenham really won out in picking up Ditto off of Wildwood (Jake why), as even though it is in RU, Ditto gives yet another late game option for Tottenham, and gives an ability to counter setup. It may be a bit of a squeeze fitting in every option at once now though with Tottenham's lineup fairly settled prior to trade week, but with Tottenham likely to win the league, this will be a nightmare for finals opponents to factor in when the team without Ditto has only lost once all season anyway. Good, but small change. In dropping Hoopa-U, and Goodra, Sunshine have dropped a total nuke for a vaunted 'fast electric type' that hits hard, and shifted their special wall to a new Pokemon. Hoopa didn't see any use this season, which is a pity because it can be quite a menace. While Thundurus-T gives volt-turn opportunities, Sunshine's squad is fairly flimsy defensively, so I'm not sure if this is an improvement or not. Snorlax does give a physical offensive option instead of a predominatly special one in Goodra, and combined these trades lessen a weakness to Fairy type attacks; but on the balance I think these changes are relatively cosmetic, and don't fix the flaws that have kept Sunshine to just two wins so far this season. Salamence hadn't been seeing much use for Sydney, and Snorlax was also relatively under used. Crobat I think is a more useful utility Pokemon for Sydney, which has a good balance between offense and defense, and the speed tier Crobat sits in is definitely useful for finishing off weak targets as well. Goodra, combined with Metagross and Clefable makes for a nice fantasy defensive core that probably works slightly better than with Salamence in it. The changes aren't major, but for Sydney to make the jump from finals contender to title favourite, these small adjustments may come in handy, and I think they are on balance improvements to the team. In picking up Diancie and its mega stone, East Side may have had the best trade of the trade period. This greatly changes the threat offered by East Side, and their ability to hit hard early and often, as well as vastly improving their coverage options. Before trade week, East Side was rather slow and a bit underwhelming offensively, so this greatly changes things. Heliolisk is also a great pickup as its speed allows it to be more useful than Hoopa, and its ability to Volt-Switch will be very useful for momentum gaining, particularly as East Side has got comfortable with Kyurem-B's wallbreaking as well as adding Diancie to their lineup. Interesting type shifts for Burwood, with the Poison/Dark of Skuntank being potentially quite useful for this finals contender, while Porygon-Z offers wild offense at the loss of Cobalion's utility and interesting typing. I'm not sure these changes will make a giant difference to Burwood's performance, especially given the tiers these trades came in, but I think Burwood have added some new dimensions to their lineup which will make teambuilding against them a little more difficult, so all in all that probably makes these a good set of trades. Wildwood picks up some prankster niggle and a pretty flower in return for losing Ditto and a bulky attacker in Dusknoir. I don't think these trades do much for Wildwood, but they weren't using Ditto or Dusknoir much, so maybe they'll turn out ok. Cosmetic changes at best. No changes here, and as they are currently 8-2 with practically the same team each week. While they are still to face the top 2 this season of Glen Waverley and Tottenham, this raises the question of did they really need any trades? We shall see whether their strong defensive core is able to be picked apart in the last three weeks of the season. Blackburn has doubled down on sand here, and I'm not sure that relying so heavily on it is a good thing. Aron is cool, but I feel if it is brought it won't pull its weight as most of the league should be capable of working around it without comprimising the rest of their team too much against sand. Then again, Klinklang was not doing much. Excadrill is an excellent offensive addition, but I feel like giving Mega Diancie to East Side is such a colossal waste for Blackburn. Sand is cool, but without infinite weather this generation, I don't see it being enough to drastically improve Blackburn's lineup. These trades still likely improve what they have, but I just look at Blackburn this year and wonder a little about what could have been for the mid-table side. Azumarill for Scolipede is a fantastic trade which further sharpens Richmond's offensive pressure, although it along with the Rotom-Mow trade create a huge fire weakness, and Jolteon seemed to be useful momentum wise. These trades are probably good for Richmond given their offensive focus, particularly in bringing pokemon like Heracross and Suicune in to play more, but do nothing to solve the defensive issues that are the reason Richmond is at the foot of the table. This, in conjunction with readily available phazing and Richmond's propensity for reckless offense may limit the improvements that RIchmond can make as a result of these trades. The Florges trade in particular I think helps Tullamarine's defensive capabilities, something that has been a glaring issue for them this season. They have managed to pick up a couple of surprise wins recently to make up for a dismal start, one of which came solely because of Florges. Magmortar may be more useful than Skuntank, but I think that trade is more cosmetic, although it does give Tullamarine a second fire type for the loss of Poison/Dark Utility. Decent trades, may help Tullamarine have a strong finish to an overall weak debut season which has seen almost as many steps back as steps forward. New York picked up two eeveelutions for the cost of a Rotom and a Dragalge. I think the Jolteon is a good pickup, as it's probably more useful than Rotom-Mow at offering a chance for Volt Switching (at the expense of some bulk and niggle value). Vaporeon is a reasonable pick up too, as Dragalge didn't seem to be doing much for New York, while Vaporeon plugs some holes defensively and gives more utility. Good trades for New York - they've exceeded my expectations quite a bit this season (cue humble pie), and I think these trades will help keep them in the hunt for a spot in the finals. That's all for this analysis, hope it was enlightening, and once again apologies for cranking it out so late. Merry Christmas, and a Happy New Year! Mindape is using Hatena Blog. Would you like to try it too?